Hay Anthology! 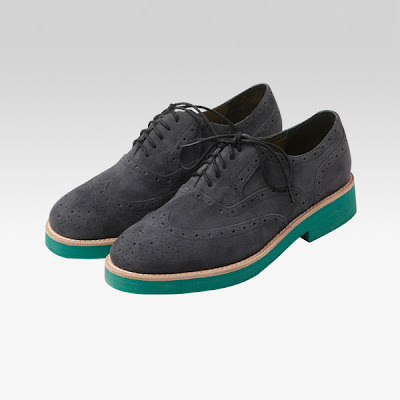 No thanks to you, this Brogues & Oxfords Obsession? It just never ends. Look at what Anthology came up with this time. The Shibuya in all its two tone, colorful gum sole glory. Nice no? Here's one more to make your heart ache. The Shibuya in midnight blue kid suede with a, can I say ugh!, heart wrenchingly adorbs green gum sole! 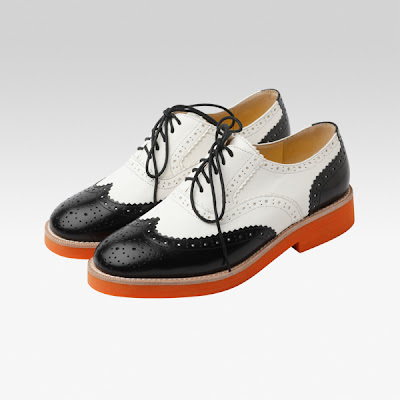 I have a black & white cap toe oxford from Rag & Bone but I still want the Shibuya in black & white. And since I also don't have dark blue brogues, with colorful contrast soles, I think I want that too. So hard to choose! I swear, these Shibuyas will make your wallet want to commit harakiri! Ano, harakiri, este, hala bira na ba?! japanese characters are incorrect it says A N SO RO JI. Isn't AN SO RO JI the Japanese for Anthology? Hahaha! Hi Anonymous! Thanks for reading so well! i love anthology brogues!!!!!!!! i swear!!! i've yet to get my black & white shibuya i had reserved. too busy to drop by rockwell! ahhhh! i hope they still kept it for me!